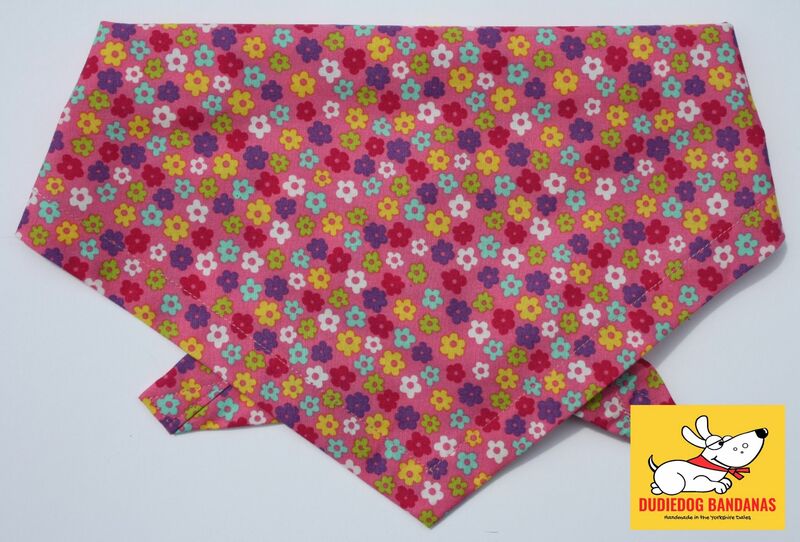 A lovely pink summer Ditsy Floral dog bandana with a mini print of multi coloured flowers all over a pretty pink background. This is a great look for any dog, and particularly fun for wearing to for parties and summer fetes! 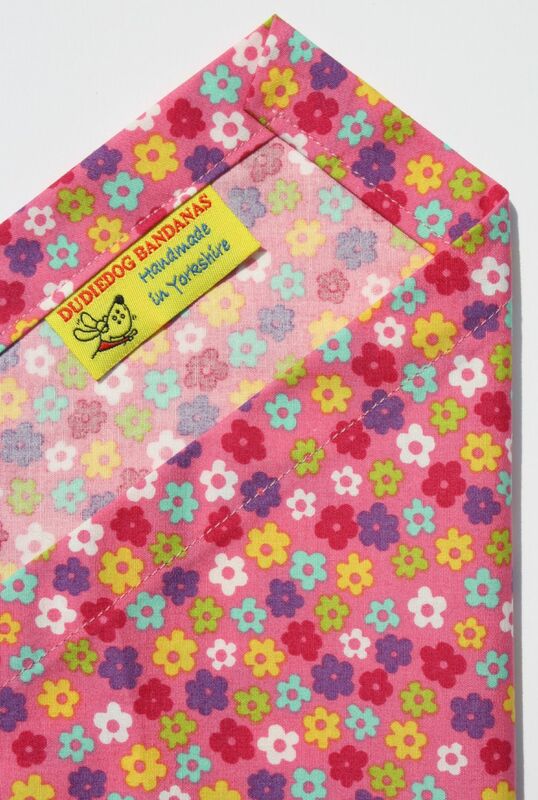 "Beautifully girly, lovely for summer. Lovely quality cotton. Super strong and durable.. Washes lovely!"